Can you see the letter C? No? Well, you may have a form of color blindness. Color blindness – or color vision deficiency (CVD) – affects approximately 1 in 12 men and 1 in 200 women. The problem is, although nearly 300 million people suffer from CVD, many are not aware of their condition. And if they do know, they may not realize they are missing out on the fullest spectrum of color. Samsung Electronics and scientists at the Budapest University of Technology and Economics have invented a way for people with the condition to see the world in more optimized colors. 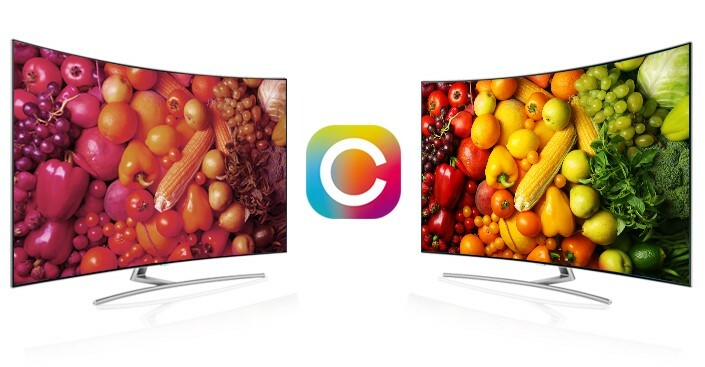 The new test is at the heart of an innovative app called SeeColors*, which is available on Samsung QLED TVs globally for the first time. The retina of the human eye contains approximately 6.8 million color-sensitive receptors, so it’s a herculean task to create a test to measure them all. Professor Wenzel and her team designed an digital test which uses the concept of color filters. Through mathematical modeling and years of experiments, they produced the Colorlite® Test, or C-test. Professor Wenzel and her team then took it a step further. They adapted the C-test so it could be used as an app on any Samsung Galaxy S6 mobile phone and above, called the ‘SeeColors’ test. And now, the SeeColors app makes it possible for color vision deficient people to see more optimized colors on their Samsung QLED TV. With QLED TV in particular offering pure and realistic colors, it is the perfect time for those with CVD to have access to the SeeColor solution. QLED TV uses quantum dots to build brightness, improve contrast and open up a huge color palette that reaches 100 percent color volume. 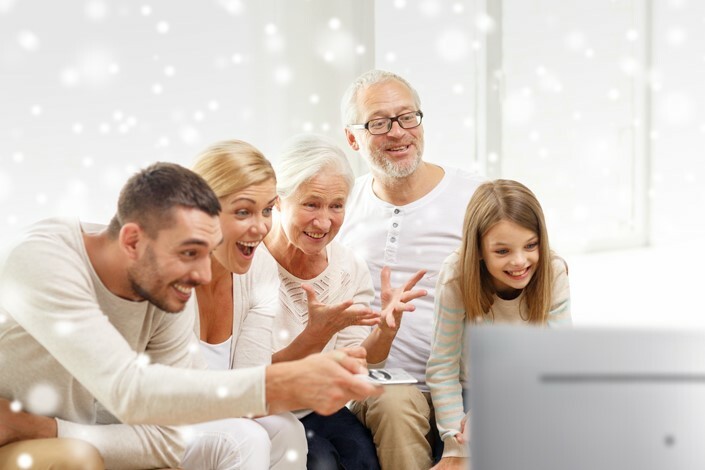 Now more people can enjoy a better viewing experience with more optimized colors on QLED TV, including those suffering from some forms of color vision deficiency. 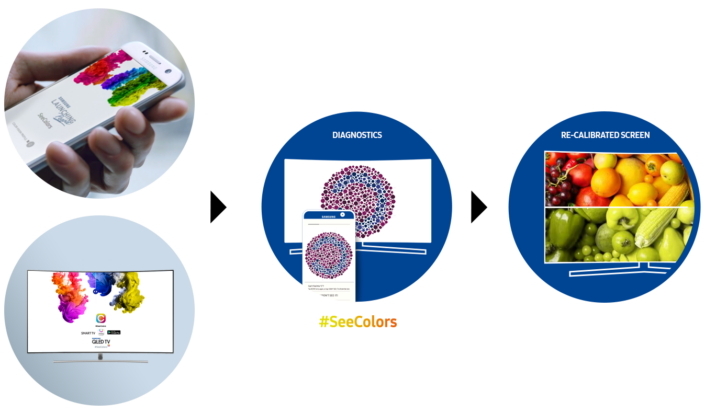 Samsung Electronics created the SeeColors app as part of its commitment to enrich people’s lives via technology. The SeeColors app on QLED TV will help people with CVD enjoy more optimized colors, providing richer, more immersive viewing experiences. * This app is not intended for use in the diagnosis of disease or other conditions, or in the cure, mitigation, treatment or prevention of disease or medical problem. Any information found, acquired or accessed through this app is made available for your convenience and should not be treated as medical advice. ** * Users can also download the app from Google Play and the Galaxy App Store for Galaxy devices. The app on mobile devices only provides the diagnosis of CVD levels.